The Waverly Vintage Lux collection of area rugs from Nourison is certain to impart an easy élan to both traditional and contemporary interiors. Fantastically fabricated for a terrific texture and to go the distance beautifully, these superb rugs are as pretty as they are practical. This inspired Damask design is a sure-fire way to imbue any interior with a relaxed refinement. 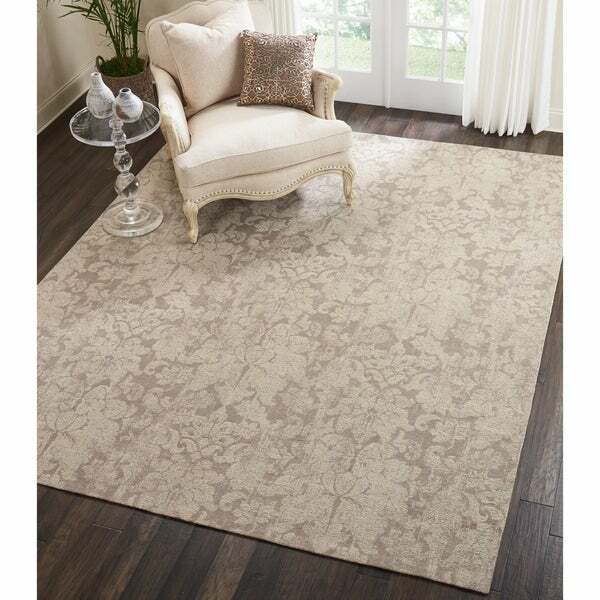 Fantastically textured and expertly fabricated for lasting quality, this Waverly Vintage Lux area rug from Nourison fits effortlessly into any room décor. "I am trying to order this rug. Is it Beige as in brown or smoke as in grey?" It is Smoke as in Grey.